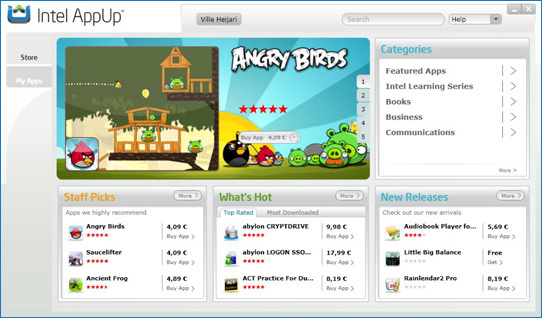 For all “Angry” fans, the Angry Birds is now available via Intel AppUp for Windows XP, Windows Vista, Windows 7 and Moblin based netbook/notebooks with special promotional price of $4.99 for a limited period, but when this time is over, the AngryBirds and Fat Mustache Pigs will cost $9.99/£5.99/€7.99. But if you’re not from this planet, I must inform you that this game is the most downloaded game on both iOS and Android. The game initially includes 195 levels which will take you a lot of your work time and from Rovio Mobile promised that customers can expect free updates and additional levels to the game, plus there will be unique enhancements not found in the mobile version, free of charge.